It is 1901 and Buffalo, New York, stands at the center of the nation's attention as a place of immense wealth and sophistication. The massive hydroelectric power development at nearby Niagara Falls and the grand Pan-American Exposition promise to bring the Great Lakes “city of light” even more repute. Against this rich historical backdrop lives Louisa Barrett, the attractive, articulate headmistress of the Macaulay School for Girls. Protected by its powerful all-male board, “Miss Barrett” is treated as an equal by the men who control the life of the city. Lulled by her unique relationship with these titans of business, Louisa feels secure in her position, until a mysterious death at the power plant triggers a sequence of events that forces her to return to a past she has struggled to conceal, and to question everything and everyone she holds dear. Both observer and participant, Louisa Barrett guides the reader through the culture and conflicts of a time and place where immigrant factory workers and nature conservationists protest violently against industrialists, where presidents broker politics, where wealthy “Negroes” fight for recognition and equality, and where women struggle to thrive in a system that allows them little freedom. 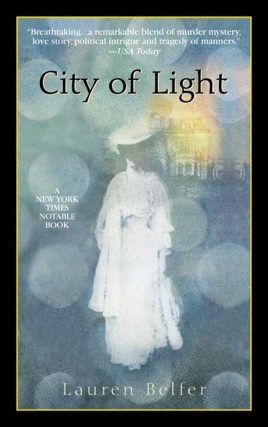 Wrought with remarkable depth and intelligence, City of Light remains a work completely of its own era, and of ours as well. 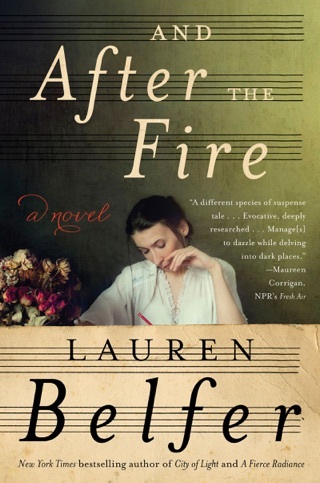 A stirring literary accomplishment, Lauren Belfer's first novel marks the debut of a fresh voice for the new millennium and heralds a major publishing event. A gift for social nuance and for authoritatively controlled narration shapes this compelling debut, which sets one young woman's extraordinary fate against the backdrop of the political struggles over the burgeoning electric industry as it began to harness the power of Niagara Falls at the turn of this century. Louisa Barrett, headmistress of a prestigious girls' seminary in Buffalo, N.Y., operates in the city's social circles with a freedom generally not accorded to other women. People assume her to be "without passion or experience," she observes, and she proceeds to tell her story with the clarity and restraint of a Jane Austen heroine. Louisa gradually reveals the great secret and sorrow of her life: having been raped by a high-powered politician (readers will gasp at the implications of his identity), Louisa secretly gave birth to a daughter nine years earlier, and arranged for the baby's adoption by her best friend, Margaret Sinclair, who has recently died. 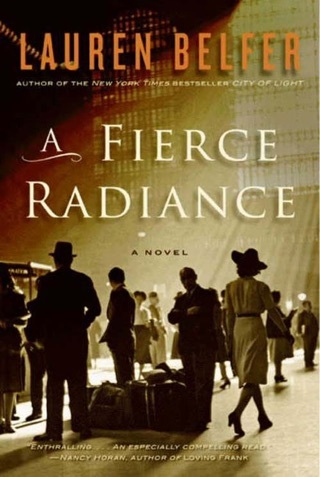 When Louisa visits her daughter Grace's father, Tom Sinclair, the idealistic businessman spearheading the building of the newest powerhouse at the Falls, she overhears an exchange between Tom and a famous engineer that arouses suspicion when the first of two murders of power company engineers occurs soon afterward. The city is embroiled in a battle between environmental preservationists protesting the diversion of Niagara's waters, and industrialists inspired by the benefits of electricity, and Louisa begins to understand the desperate measures to which each side will resort. Meanwhile, she is poised for a time to choose between two men: a prominent reporter who falls in love with her, and Tom, marriage to whom would make her legally Grace's mother. Belfer's delineation of society's power structure, deftly portrayed in the controversy over the Falls and the city fathers' preparations for the Pan-American Exposition, undergird a many-layered zinger of a conclusion. The rich mix of fictional and historical figures includes a family from Buffalo's black middle class, presidents Cleveland and McKinley, and immigrant power-station workers who risk life and limb. 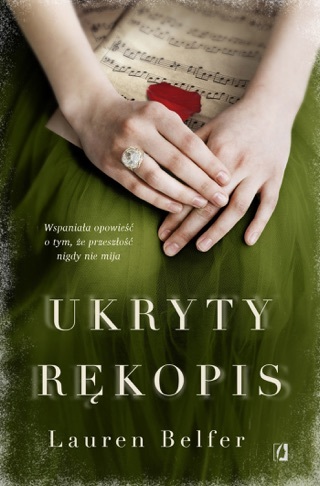 With the assurance of an established writer, Belfer delivers a work of depth and polish--an unsentimentalized story complete with dangerous liaisons, gorgeous descriptions of the Falls and a central character whose voice is irresistible to the last page of her tragic story. $200,000 ad/promo; BOMC main selection; simultaneous BDD audio; author tour; foreign rights sold in U.K., Germany, Italy, France and Sweden. FYI: Belfer has been selected for Bn's Discover New Writers program.